Music is strongly related with our culture. The study is directed to find out the changes of music industry in Bangladesh during the last three decades and also the present situation in terms of economic as well as social structure. From economic point of view, the industry is doing business like that of a large industry. It has the capability to motivate the annual growth rate of the country if managed in a planned way. Globalization has a deep impact in this industry. Piracy has been the key element for affecting the industry in a negative aspect. Total output and current status of the industry is the prime aspect of this research work. The study of Music Industry of Bangladesh with an aspect of social and economic phenomena can help the economic planners as well as the Government to develop an authentic structure of this sector. Music is the rhythm of life. The culture of a group of people, is substantially their way of life. And Music is one of the crucial influentiary ingredients of it. The role of music is vital because songs and plays describe and transmit the history of the people. Music tells of the way people worship their God or Gods, and it describes the emotions of life as perhaps no other art form can do. Music can express happiness and sorrow, hope and despair, Furthermore, as a mode of entertainment, music is also a source of income as well as social status. Therefore, as a cultural phenomenon, music is a great interest to me. In a colloquial sense, the research may be aimed at, “ to ascertain the overall performance of music arena of Bangladesh”. This refers to the total output of persons or organizations that have been involved with this subject, termed as music industry. The research determines the annual growth as well as the social and economical liabilities that very the outcome of music as a profession. A small survey has been developed to categorize the many fields of paradigms of music industry in Bangladesh. 1.3 WHAT IS MUSIC INDUSTRY? Music industry refers to musicians, recording studios, sound system companies, audio-cassette manufacturing companies, and furthermore, the production companies that ensemble the total output of music as a profession. 1.4 AIMS AND OBJECTIVES OF THE STUDY. 1. To identify the changes in the music arena. 2. To study the different marketing characteristics and changing attributes. 3. To study the cultural changes with reference to Socio-economic, demographic and infrastructure aspects. 5. On the line of the above findings, some suggestions have been made in order the improve the industry situation in Bangladesh. With the above background, the analytical study of music industry has been under taken. The study of the industry involves the entire characteristics, phenomena and factors for the changes in production of music. An analysis could be applied for the systematic study of music industry. By following this approach, efforts have been made to bring in together the variables described in the successive chapters that range from economical to social and infrastructural characteristics of music industry in Bangladesh. The related data and information have been collected from the primary and secondary sources. Data for this survey have been generated mainly through questionnaire survey and supplemented by observation. Structured and non-structured questionnaires (Appendix) have been used. The Socio-economic survey was conducted in the study and information of features, financial and social status etc. were collected. The given questionnaire has been administered to collect the above mentioned information. The secondary information has been collected through the survey of literature. Information were also collected from daily newspapers, monthly magazines, Dhaka Municipal Corporation etc. In this particular field, musicians of two main types, namely, the professional and the amateurs have been intermingled with the progress of development of the industry. For this reason, they have been selected as the study area. Therefore, there we find many changing features Socio-economic conditions and infrastructural conditions. The study area contains thousands of musicians. It is impossible to collect the necessary data and information from all of them in the area. So, 30 sample musicians each from both the professional and amateur levels have been selected. There are more than 40 recording studios in the country, of which 31 are situated in Dhaka. Eight studios were surveyed. There are officially 46¹ production companies in the country of which 42 are situated in Dhaka and the rest are situated in Chittagong². Although the unofficial number of production companies goes beyond 70, only 10 percent of them have been selected for the research. All collected data and information from the primary and secondary sources have been calculated and tabulated (Appendix). Proportion of frequency distribution in percent of categories of values for each of the variables has been computed. Graphs have been drawn from the obtained data. Although music as a profession has been introduced well beyond the Bangladesh regime, but only since the last 20 years, when first audiocassette Production Company was launched, marks the beginning of a new chapter. Since then, the industry had a dramatic change with the introduction of new ‘private’ audio-recording studios. The term ‘private’ has been used because audio-recording studios of Radio and TV Stations already existed but artists of only these two sectors had the access to those studios. With the launching of new studios, it gave ways to new as well as older (experienced) musicians to work on their own, by making their own albums, which were produced by private companies rather than Radio or TV. At first, audiocassettes were imported from foreign countries. In 1985³, the elements such as magnetic tape, plastic shells were imported and then assembled locally. Now a day, new plants have been set up to manufacture or assemble audiocassettes. During the last 5 years, the change in this arena has been dramatic, mainly, due to the spreading of cable TV and information technology. The easy access of music from international artists has forced the local production companies to introduce the compact discs in Bangladesh. Although the local companies can do very little to fulfill the needs of the consumer, it does pave the way for local artists to enter the arena of digital music 4. A useful way to classify the various ways in which music ( audiocassettes and CD’s) can be produced in to think in terms of a continuum, from simple to complex, from the recording of songs and music by the musicians to creating them purposefully using modern techniques. The five divisions are interrelated in the sense that they all combine to produce the music that resembles to economic and social aspect of the industry. We cannot ascertain the exact number of professional musicians in Bangladesh, as there is no such record in the Ministry of Cultural Affairs. The Ministry only has the record of those musicians that works directly with Radio or Televisions companies. There are thousands of musicians countrywide who took music as their profession and earn much more than those recognized musicians. Professional musicians refer to those persons who took music to earn their livelihood. They include the musicians of Radio, TV, members of Musical Bands, Bawls etc. their earnings vary from Tk. 1,000/= per month to Tk. 1,00,000/= ( One Lac) per month, depending on the popularity of those musicians. During a short survey on 30 professional musicians, who are not directly related to Radio or TV, stated their satisfaction over their job, but asked for the recognition from the Government. These musicians tend to stay within the capital city, as they are highly paid in here. Most professional musicians had their orientation in live concerts and then started to do recording jobs to create new albums of their own. They are often chartered to do recording jobs of other persons of perform live in a concert. The social statuses of these musicians are not always satisfactory. Because, many people still thinks that singing songs or playing instruments cannot be worthy enough to earn a livelihood. The religious and social structure of our society often tends to abhor the people who took music as their way of life. This suppression if found widely in rural areas. This is one of the reasons why the numbers of professional musicians are higher in urban areas than in rural areas. Now a day, a new trend has been introduced in the arena of professional musicians the trend of performing abroad. This trend has made a positive aspect in the minds of professional musicians. Interviews with some popular musicians reveal that a person can earn himself as much as Tk. 5 (Five) Lac monthly if he performs abroad. Some musicians even said that, they do not want to go to foreign countries as it hampers their local connections. There are occasions where a musician refuses to play abroad just because he or she has to stay abroad for four to five months, although they can earn more money than here in the country. Amateur musicians refer to those musicians who are still yet to take music as a mean to their livelihood, but on the contrary, they take it as a mean to relish their mental satisfaction. Their area of performance (concert) and recording of songs can often be misunderstood as the work of a professional. Therefore, the earnings of an amateur musician may sometimes exceed the earnings of a professional musician. The social status of an amateur musician is often higher than a professional one. Because, people in our society think that when a person becomes a professional musician, he has no other mode of income. Especially, people have a shadowy belief that a musician can never earn enough to carry his/her family. There are more than 40 recording studios in the country at present. Most of these studios are situated in Dhaka. Located in not so commercial areas, these studios are one of the most profitable arenas in music industry. Low cost of labor and a very expensive charge of recording shifts made them earn a very big share of this industry. There are 32 recording studios in Dhaka. Apart from the studios of ‘Bangladesh Beta’ and ‘Bangladesh Television’, these studios contribute widely to the music that we hear in the country. Both professional and amateur musicians use these studios to record their plays. Recording studios situated outside Dhaka include 6 in Chittagong, and one each in Jessore, Khulna, Rajshahi and Rangpur. Apart from the studios of Chittagong and Khulna, most other studios do not meet the current requirements of modern musicians. High cost of commercial plots and their taxes paved the way for these studios to establish themselves in private apartments. Although most of the studios spend more than half a core Taka for their installation, they do not get privilege to entitle themselves as Small Industry8. The high import tax also becomes a barrier for these studios to be up-to-date with latest technologies. Therefore, the studios are far below the international standard; one of the reasons why music produced in the country does not sound good enough. 7 National Radio Broadcasting Company. Most recording studios employ only 5-7 persons, whose total average monthly salary ranges from Tk. 18,000.00 to Tk. 35,000.00 only. Whereas, a 16 track digital recording studio can earn as much as Tk. 1,80,000.00 monthly. Often these studios meet these earnings. Sound engineers9 play a major role in maintaining the status of a good recording studio. However, at present, there is no such institute in the country where a person can enroll himself for becoming a professional sound engineer. So, one might say about these professionals as self-learners; another reason for low quality sound. The average salaries of a sound engineer range between Tk.8,000.00 to Tk. 12,000.00 only. A state of the art recording studio may be useless if it does not contain a good sound engineer. A qualified sound engineer can turn a mediocre music into an enchanting track. Some of the digital studios in Dhaka contains highly sophisticated equipment but lacks a good sound engineer. Poor quality of sound stands in the way for internationalization of local musicians. 4 track Analog Studio Tk. 02-05 Laces. Each shift of a studio comprises of 8 hours of recording time. Musicians or production companies rent studio shifts to perform their recordings. Musicians can also book a half shift, which is precisely four-hour of recording time. A recording studio can work for 24 hours a day and 7 days a week. Nevertheless, on an average each recording studio handles at least one and one-half shifts of recording. Because the studios are open 24/7, the monthly income of a recording studio can easily be calculated through multiplying 30 to the amount of one and one half shift. The sound system companies have been a vital part of music industry, as they are the lone sector who arrange the sound of a live concert. They take a limited amount of money depending on the type of the concert. Their incomes are dependent on concerts and concerts are mainly held during the period between November and March- when there are few/no rains. During the last 10 years, there have been profound changes in this sector. The introduction of new equipment as well as low cost of hiring them has become a major reason for the increase in numbers of concerts. There are officially 72 sound system companies in Dhaka, but the actual number may rise above the century mark. The rise in number may be the result of hiring of these modern companies for programs other than concerts, i.e. political or social gatherings etc. A sound system company does not require many work forces to operate. On an average, a sound system company may consist of 4 employees. Of these four employees, one for sound engineer, one for managing appointments and the other two are called the roadie. At present, there are more than 70¹º audiocassette production companies in the country. Although the legal numbers of production companies are only 46, of which, 42 are situated in Dhaka and the rest in Chittagong. These companies produce more than 100 albums per month. In 1995, more than 1 Core copies of pre-recorded cassettes were sold. Whereas, five years ago, in 1990, the total sell was less than 20 laces copies. Information through unofficial sources suggest that the current number of cassettes produced by these companies goes beyond five core annually. Therefore, the growth rate has been significant enough. A large production company may produce as much as 8 laces cassette annually. Where as, a medium or a small production company may produce as much as four laces and two laces cassette each year. The initial release of cassettes for a new artist may be as low as ten to twenty thousand copies. Where as, the amount of cassettes of a more popular artist might reach forty to sixty thousand in each release. One an average, the retail stores buy pre-recorded cassette for about Tk. 25 each. This sums the annual sales of cassette to about Tk. 125 core. The sales of CD’s have been left out for its negligible number. The production companies are mainly situated in Dhaka and some in Chittagong. More than two third of their production consists pirated copies of both Hindi movie songs and English songs of international artists. These albums production costs are the cheapest and makes big profit. Therefore, now a day, percentage of pirated copies being produced by these companies are gradually increasing. Few companies manufacture their own audiocassettes. These companies are also thinking about expanding their business through production of Compact Discs. In foreign countries, the production companies pay their artists through royalty system. However, in Bangladesh, the system does not exist. They pay the artists only before the initial release of the cassette and no payment is made for the future releases. This makes the production companies richer than we can possibly think of. Lack of knowledge and proper guidance makes the musicians more susceptible in the industry. There have been occasions where the number of cassettes sold for a single artist reaches beyond two laces. Nevertheless, this high selling rate does not make any profound change in the artists’ life. He does not get any extra payment for his album’s success. At present, there are eleven audiocassette-manufacturing companies in Bangladesh who only produce blank audiocassette. Three in Dhaka and two in Chittagong. Daily average production of blank cassettes is about 1.5 laces and annual production is over five cores, which costs about Tk. 125 Core. Now a day, almost all the leading production companies own their manufacturing plants. Most of these plants import blank magnetic tapes from Malaysia and then manufactures plastic shells to assemble the cassettes. Usually, these tapes are of low quality, but, because they are cheap, it is widely used. In the study, cassette manufacturing companies have been divided into two sectors, i.e. firstly the semi assembling companies who import the magnetic tapes and then assembles in here, and secondly, total manufacturing companies who produces the magnetic tapes themselves. Currently, there is only one company who claim to be the latter. The availability of cheap pirated CD’s has made a negative impact of cassette industry. A huge number of pirated cassettes and CD’s flout the market. Interviews with cassette manufacturers suggest that unless the Government enacts the ‘Copyright and Piracy Law’, and stop the inflow of illegal imports of foreign cassettes (mainly Indian), the future of this industry might be in jeopardy. The music industry of Bangladesh is strategically divided into five categories. The five units include musicians, recording studios, Sound System Companies, Production Companies and Cassette Manufacturers. The purpose of this division was to justify the status of this industry. Musicians are like the raw material of a construction plant. They are the backbone of music industry. Without them, there would not be an industry whose sole purpose is to entertain people. Therefore, to ease the research work, the musicians have been categorized into two part- namely the professional and the amateur musicians. The findings state the current state of this profession. It also includes the social and economical status of these people. Most professional musicians had their orientation in live concerts and then started to do recording jobs to create new albums of their own. New trends like ‘performing abroad’ and high production rate by the industry has given way to a large number of people to gain their interest in this field. Now a day, more and more people are engaged doing small scale recording sessions for their own music. On the other hand, amateur musicians, involve in this arena to relish their mental satisfaction. Their area of performance (concert) and recording of songs can often reach the level that of professional musicians. The social status of an amateur musician is often higher than a professional musician. Although the average earning of a pro is most of the time higher than an amateur, but the people have a rather shadowy belief that a musician can never earn enough to carry his/her family. Most of the music that we hear today in the country is produced in local Recording Studios. These Studios are like the factory of this industry. Low cost of labor and a very expensive charge of recording shifts made them earn a very big share of this industry. Although recording studios can earn themselves the status of a small industry, they do not employ many people. In addition, the average salaries of these employees range between Tk. 18,000.00 to Tk. 35,000.00 monthly. Where as, a studio can earn as much as Tk. 2.00 Lac monthly. The local studios also lack in good sound engineers who are the backbone of a recording studio. A state of the art recording studio may be useless if it does not contain a good sound engineer. The Sound System Companies has played a vital part in the growth of this industry. The better the concert sounds the more the popularity of a musician. The introduction of new equipment as well as low cost of hiring them has become a major reason for the increase in numbers of concerts. Production Companies are the biggest shareholder of music industry. They are the one who is responsible to distribute the music to the local market. The number of production companies that is well beyond 70 suggests the economy that is involved in this industry. In 1990, the annual production of audiocassette were no more than 20 laces, whereas, in 1995, it reached 1.00 core and in the year 2000, the production reached beyond 5.00 core mark. The average growth rate of this industry has been calculated to be about 38 to 40 percent annually. The production companies do not pay the artist through royalty system. This makes them richer than we can possibly think of. Furthermore, more than two third of the cassettes produced in the country are pirated. These pirated cassettes include both Hindi and English Pop Songs. Some companies only produce pirated cassettes. Finally, the cassette manufacturers like the printing press of this industry. They are the major suppliers of blank audiocassettes to the market and the production companies. The numbers of audiocassette production have risen sharp during the last 10 years or so. In the past, blank audiocassettes were mainly imported from foreign countries. But, now a day, almost all the audiocassettes that we see in the market are produced locally. These trends have effectively saved many foreign currencies. During the last five years or so, the world has entered the age of information technology and digital revolution. 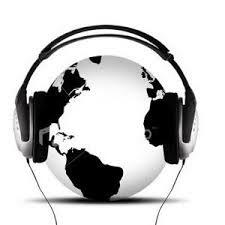 This revolution has established the use of CD’s in music industries of the world. However, in Bangladesh, the use of this technology is still far from expected amount. Although some production companies have started to market their albums through CD, but it does not comply with international standard. Availability of pirated CD’s and very high installation cost of CD manufacturing plant may be the reason behind the backwardness of local production. During the last 5 years, the music industry of Bangladesh has seen a dramatic change. The increase of listeners, performers, music shops, production companies, recording studios have made way to structural change in the arena. Commercialization has lead to huge diversification of the industry. 1. The industry lacks good promoters. ‘British American Tobacco’, a multinational tobacco company has been patronizing local bands and modern musicians for the last three years. However, this company does not help to promote local folk artists that have been a part of our culture since ancient time. Therefore, large promoters are required for flourishing local folk songs. 2. Music is a part of our culture. It should be patronized, not resisted. There have been times when local authorities have banned the performance of modern musical events in the name of controlling law and order situation. Therefore, help of local Government authorities as well as law enforcement agencies are required for this industries normal function. 3. Modern City life requires many recreations, and music may be one of them. However, we do not have many open spaces and auditoriums for performing musical concerts. Therefore, constructions of permanent sites for holding musical shows are necessary. 4. The introduction of satellite TV channels has created a huge audience for foreign songs, especially Hindi Movie Songs. Therefore, to stay in business local musicians must think globally. They should aim their music for global market. 5. Production companies utilize the lack of professionalism among the musicians. The introduction of royalty system is necessary for the well being of professional musicians. A musician should be able to earn his livelihood through selling of his music. He must get part of the profit for which he is mostly responsible. 6. Now, there is no formal institution in the country for sound engineering. Therefore, the quality of sound produced in the country is still poor compared to international standard. For this reason, establishment of sound institute is necessary for the growth of the industry. 7. There is also no formal institute for training modern musical instruments. Professional musicians should willingly come forward for this purpose. 8. Our society can be divided into three major groups according to their income- the high, the middle and the low class. Most musicians fall into the latter two classes. As the costs of recording charges in the studios are quiet high, it is often hard for these musicians to rent them personally. Therefore, the cost of recording charges should be lowered so that, new musicians get the proper chance for flourishing their creativity. 9. Often, musicians are not able to create their sound due to lack of adequate/proper instruments. This is because, the price of foreign musical instruments are still beyond the reach of the commons. Therefore, it is necessary to lower the import tax on musical instruments. 10. Piracy is a curse to any industry, especially the music industry. More than two third of our cassette production is pirated, which mainly include Hindi Movie Songs. This trend has bought a negative impact to our local musicians. Therefore, the enactment of copyright law is mandatory to save the local musicians as well as our culture. The music industry earns more than Tk. 125 Crore annually. It has a potential that of a large industry. Government supervision and thorough investigation is required to ascertain the actual output of this industry. Among other things that the industry requires is the imposing of piracy act and for this reason, public awareness is necessary. We know that, culture is dynamic, and it has the tendency to acquire all the substances, whether it is good or bad. The improvement of culture is always welcomed. Nevertheless, when this improvement or development, whichever one might say in the case of Bangladesh, is not necessarily a positive one. The introduction of Satellite TV Channels has been more or less an invasion to our culture. It has the adverse effect of changing the taste of local people in terms of listening music. especially when it comes to Hindi pop songs. In summery, we might say that, although the music industry of Bangladesh at present is not in any position to influence the GDP, but, as many foreign countries, it is a very much growing business. It needs greater attention from the Government to stabilize the current trend of growing, because more and more people as well as money is being invested to this sector. Thus, allowing the Government a good amount of revenue. Dept. of Geography & Environment, J.U. 13. Which part of the country does the cassettes are mainly distributed?